If you’ve got any comments you would like to make about the Cumbernauld Colts – now’s you chance! Email your comments to: admin@cumbernauld-colts.com and we will select the best ones and post them here. On behalf of Parkmoor BC u16s, I’d like to thank you for inviting us to your tournament on Saturday. You and all your volunteers made us very welcome and we appreciate the hard work and time you put in to make the tournament a success – and you definitely succeeded! We thoroughly enjoyed the trip to Cumbernauld. The main purpose was to get the boys back together again after a two month lay-off and just get some match fitness and sharpness into them. Winning matches would have been a nice bonus! The tournament achieved our aim and more as we also met new people in teams we hadn’t played before and our boys got an opportunity to test themselves against good quality opposition from different parts of the country. As coaches we are keen that the boys develop their football abilities and also their life skills, through football. There’s no doubt they benefited physically and mentally from Saturday’s four keenly contested games. associated with Cumbernauld Colts a very enjoyable and successful season in 2012-13. Yet again another fantastic festival. You should be very proud of it as it was first class once again. Well done on your Tournament at the weekend, all our teams had a great time. Thanks to all your Club’s hard work to make it such a success. Well done to the guys at Colts for “pulling a Rabbit out of the hat” getting Broadwood on the Saturday after the terrible rain thru Friday, pity about the 96s & 94s festival on Saturday at Ravenswood, our 2001s enjoyed the 2 days and it was a great experience for our boys playing against teams from all over Scotland, we hope to be back next year at all age groups 2003 to 1995 as we have been telling the rest of our teams at Lenzie Youth Club again how well run things are at the Cumbernauld Colts Festivals.Well done again, see you next year. Lochgelly Albert Colts 2000’s would like to thank you and all concerned for your hospitality at the weekend, our players, coaches and parents all had a very enjoyable weekend. the organisation of the event was first class despite the adverse weather you encountered. Hope to see you next year. Well done and thank you. Just a note to say WELL DONE AGAIN. Your festival was a great success yet again. Our boys thoroughly enjoyed themselves.The way you managed to adjust things to suit the horrendous weather conditions was a credit to yourself and colts football club. Fingers crossed for better weather next year! All the best to the colts for the forthcoming season. I really enjoyed the few hours that I was at Broadwood on Saturday and must say that everything looked fantastic especially when you consider the late change of venue. It is a great credit to the club that you are able to organise and deliver an event of this scale and everyone involved deserves a major ‘pat on the back’. Once again well done at the weekend. Just a short note to say well done to you guys who ran the festival over the weekend. Our boys had a great time, and every game was competitive.Thanks Again. 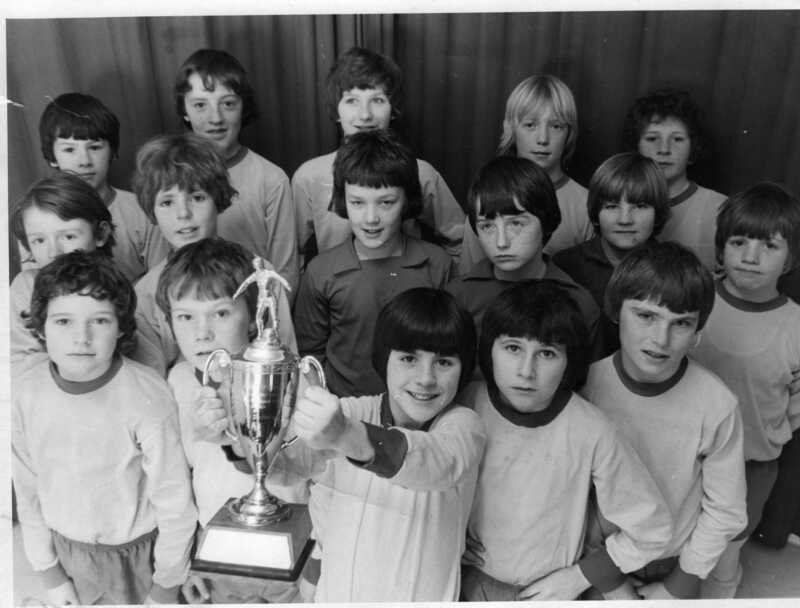 I have just seen the photographs on your web site; of the teams from the 70’s, it takes me back to my days as a boy. They were all great players. Big Willie Logan came from Millcroft Road . Wee Johnny Lennox, was a smashing football player, Foxy from Condorrat had the heart of a lion, Buster was the best of them all apart from me, and Jim McGaragal was special. If any one has any information or pictures of the old boys Shug Heath, Andy Walker, Ian Winship and Jim Whyte please get in touch. Hi, came across your website while searching for links to Cumbernauld teams, very impressive website and congratulations on your SFA award. Also congratulations to your U-19’s on their league success – a fantastic achievement – and it is with some pride that I must also congratulate my young brother Alan Smith on his coaching success – I know exactly how he must have felt. I have worked overseas for many years and don’t get back to Cumbernauld very often. I knew Alan was involved quite heavily with one of the Cumbernauld teams. For the past two years I have been working in and for the 2006-2007 season became involved with the Scotland Qatar Expatriate team. The team’s age group ranges from 19-20 up to about mid-40’s so it is with some pride that I was able to don the blue jersey of my country at age 53. This was the first time we had an organised league in Doha, Qatar. The Scots lads redeemed their 3rd place league disappointment with an emphatic victory in the Annual Doha Challenge Cup game against their Auld Enemy England. This year Scotland won 6-0. As team trainer I could not have been more proud of our squad – the game was played in 40-45 degrees (about 105-110F) and our lads never let up and ran the English lads ragged. If any of your lads ever end up in Qatar either with their family or working then they should look up the boys as they will be made more than welcome to come along to training and join in. Keep up the good work and success and good luck for next season. David Reid , ? ,Willie Logan, Andrew Clark, Vincent Harkins. Johnny Graham I think , Alan Bateman his dad Bob was the Manager, Johnny( PENNY)Lennox still has the fringe to this day. Not sure whos on the right hand side of Penny Gary? then its David Fox. Davie Reid, Alan MacLean and Davy Fox were from Condorrat, Brian Mcphee, Johny Graham, Vincent Harkins, and myself were from Ravenswood. Ian Gilmarton Big Andy Clark, Johny Lennox , Gary ? were from Seafar, Big Willie Logan I think was from Abronhill..although he did go to Cumby High. I apologies to the guy whos names I cant remember. Would be a good one for the message board and a good quiz to name the players. If you know who the missing players are please email us ! I although I should have years ago,have just found the colts web site,may I say I am proud and excited to see the club flourishing and as strong as it was when I played for the colts in the early 80’s. I still remember the pride, under Mr… Cout’s management, installed in us youngsters,when we traveled away from Oak Road,we were proud to be colts and our opposition, be it in Glasgow, Stirling, Falkirk……Knew, through our dress, our discipline and sometimes our footballing ability…. that we demanded respect.